Need a simple, easy-to-use drop chart for your rifle? Something you can tape right to the buttstock? 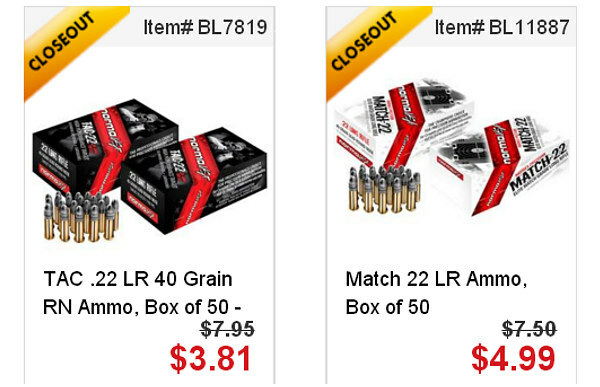 Then check out Hornady’s handy Online Ballistics Calculator. This user-friendly calculator will compute your drops accurately, and output a handy “Cheat Sheet” you can print and attach to your rifle. Simply input G1 or G7 BC values, muzzle velocity, bullet weight, zero range, and a few other variables. Click “Calculate” and you’ll see the full chart (shown below). Then if you click “View Cheatsheet”, you can generate the simpler, 4-line Drop Chart (shown above). The online ballistics caculator is easy to use. You can select the basic version, or an advanced version with more data fields for environmental variables (altitude, temperature, air pressure, and humidity). You can also get wind drift numbers by inputing wind speed and wind angle. Conveniently, on the trajectory output, come-ups are listed in both MOA and Mils — so this will work with either MOA clicks or Mil-based clicks. 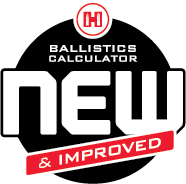 There are more sophisticated ballistics solvers available on the web (such as the outstanding Applied Ballistics Online Calculator), but the Hornady Calculator is very simple and easy to use. If you just want a basic drop chart, you may want to check this out. 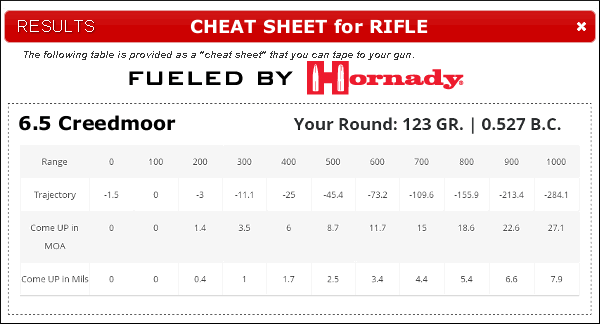 Share the post "Generate “Cheat Sheet” — Printable Drop Chart for Your Rifle"
For the second year in the row, one of the more popular rifles at SHOT Show was the versatile Bergara’s B14 Hunting and Match Rifle (HMR). Designed for the tactical, PRS, and long-range hunting markets the HMR features an ergonomic, adjustable stock fitted with an internal aluminum sub-chassis. 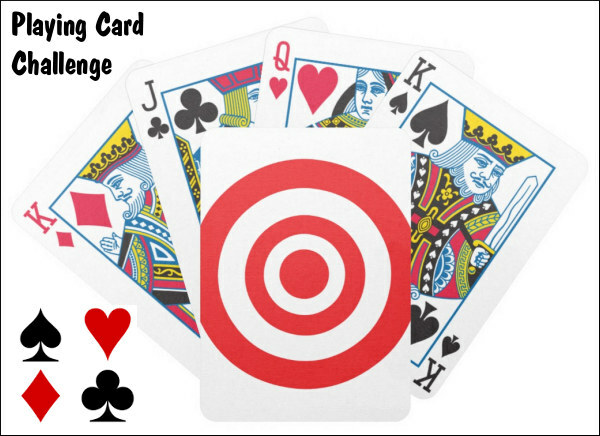 The stock is comfortable in a variety of positions, making it suitable for both hunting and practical shooting comps. The HMR is now offered in five chamberings: 22-250, 6mm Creedmoor, 6.5mm Creedmoor, .308 Win, and .300 Win Mag. They all use AICS-compatible box magazines. We’re pleased that all HMRs are guaranteed to produce sub-MOA groups at 100 yards using factory match-grade ammunition. Weight, without optics, is 9.15 lbs, about one pound less than the Ruger Precision Rifle. MSRP is $1,150.00. That’s a good value, but we wish Bergara included a scope rail from the factory. 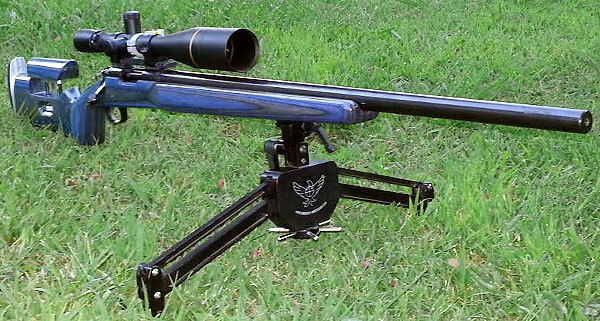 The Spanish-made HMR boasts a molded synthetic stock with built-in machined aluminum mini-chassis. 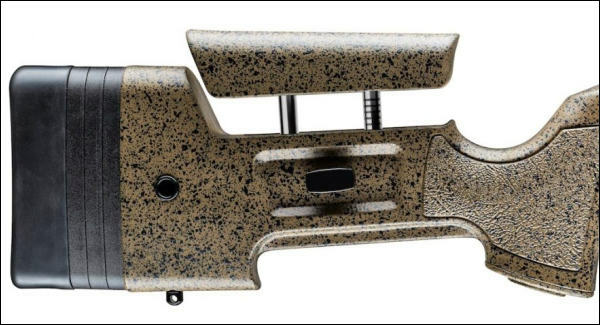 This mini-chassis allows secure, repeatable bedding for Bergara’s B14 action, which features two-lug bolt with coned bolt-head. The Chrome-Moly Bergara barrels are threaded 5/8″ x 24 at the muzzle for brakes or suppressors. The HMR uses a precision-machined bottom metal and is designed to accept AICS-style magazines. The stock has a multi-stage textured finish, which looks good. Designed for both righties and lefties, the ambidextrous stock features an adjustable cheekpiece, and length of pull is adjustable with simple spacers. For slings and accessories, the HMR stock offers multiple flush cup QD mounts as well as multiple swivel studs for bipods and/or slings. This should be an interesting addition to the line-up of factory rifles suitable for the PRS Series Production Class. But frankly, we think Bergara went too short with the barrels (or at least should offer longer barrels as options). 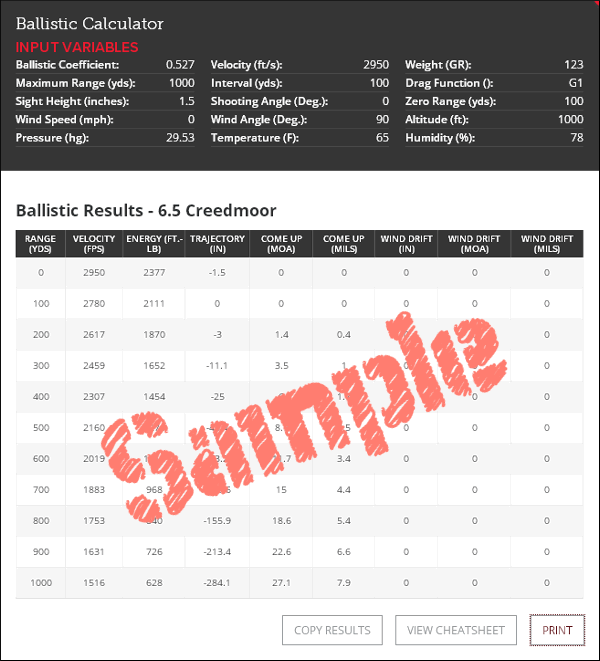 In 6.5 Creedmoor, at 22″ you’re giving up 90 FPS or so compared to a 27″ (See Barrel Cut-Down Test). Additionally, we think most PRS competitors would prefer a different profile on the fore-end. Nonetheless for tactical guys who don’t like modular metal stocks, this is a pretty affordable option that can also work for hunting. NOTE: The new 6mm Creedmoor version does include a 26″ 1:8″-twist barrel. We like that. CLICK HERE for Bergara B14 HMR Owners Manual. 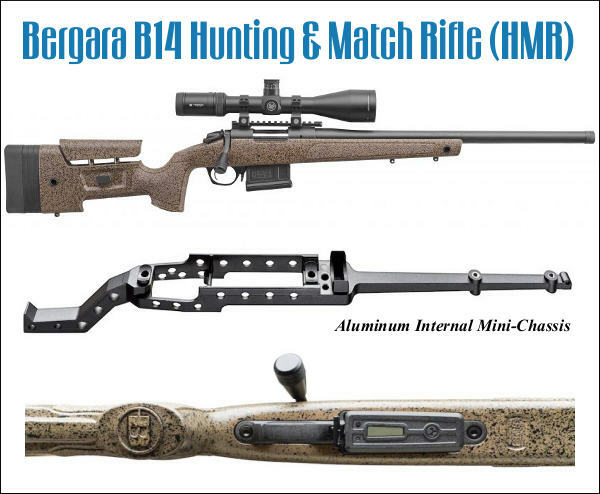 Share the post "One Gun for Hunting AND Competition — Bergara B14 HMR"